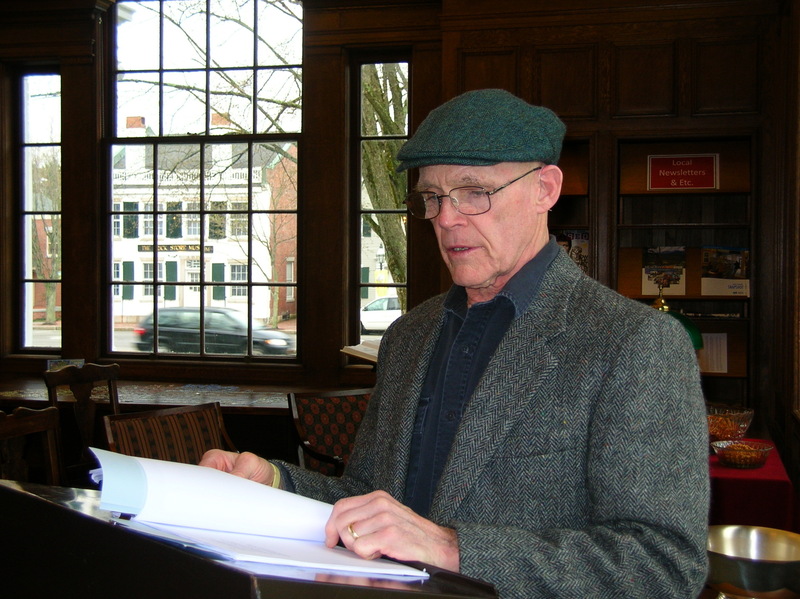 Calliope—Poetry Readings at West Falmouth Library opens its sixth season on Sunday, September 16, from 3 to 5 PM. Open mike sign-up begins at 2:45 PM. The library is at 575 West Falmouth Highway (Route 28A) in West Falmouth. The featured poets are Patrick Donnelly, Preston Hood, and Jacqueline M. Loring. The readings will be followed by a reception and book-signing, with refreshments. A $5 donation is suggested to help fund a stipend for the poets. 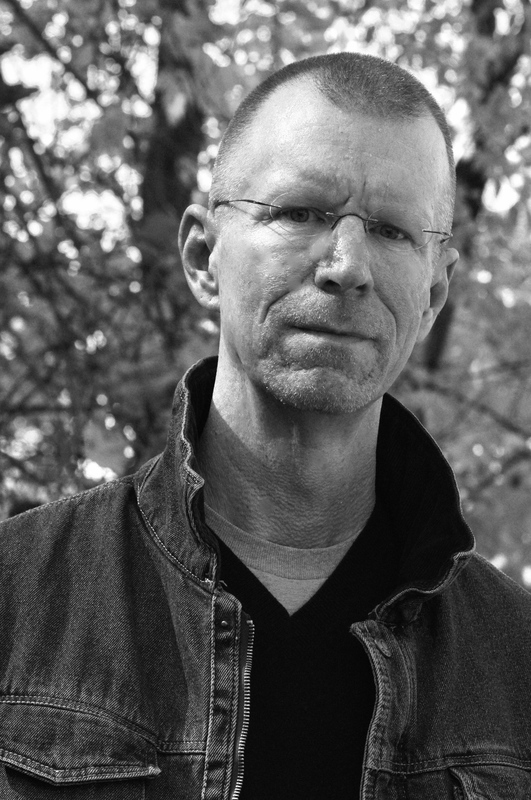 Patrick Donnelly, of South Deerfield, is the author of two collections of poems, “Nocturnes of the Brothel of Ruin” (2012) and “The Charge” (2003); his poetry has appeared in “American Poetry Review,” “Slate,” “Ploughshares,” “The Yale Review,” “Hayden’s Ferry Review,” and many other journals. is just the smoke of wood/that has been/consumed by the fire. In a third poem, the Mother’s Ashes reply. Preston Hood, of Lyman, Maine, is the author of “The Hallelujah of Listening” (2011), which won the 2012 Maine Literary Award for Poetry. His first collection of poetry, “A Chill I Understand” (2006), received a Maine Literary Award honorable mention in 2007. His poems have appeared in many literary publications. Hood began writing poetry since he was a child in southeastern Massachusetts, using it to cope with a difficult family situation. Later, as a member of Navy SEAL Team 2, writing poetry helped him survive the rigors of the Vietnam War. Returning home, he turned to poetry as a means of dealing with what he later learned was post-traumatic stress disorder. Searching for inner peace, he moved to Maine, and he found help from the Department of Veterans Affairs. His poetry flourished, and now he helps other veterans deal with mental and physical wounds through poetry. Not all Hood’s poems are about trauma though. His poem “For Cullen Four Days Old, Waking,” is about the serenity of holding his grandson for the first time. 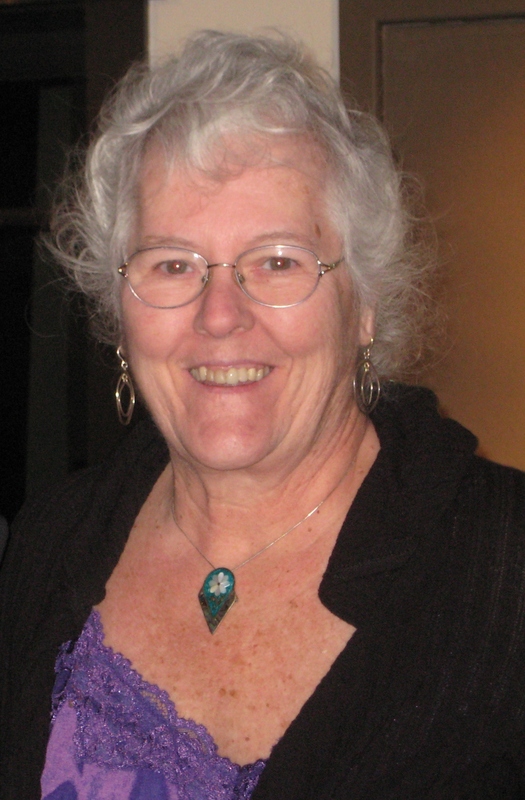 Jacqueline Loring, of Monument Beach, is the 2012 winner of the Doire Press Irish International Chap Book Poetry Prize for “The History of Bearing Children.” Her poetry has been published in numerous journals and anthologies. She edited and published poetry and prose in “Summer Home Review, Volumes I and II (2002, 2005) and her poetry has been published in several anthologies and journals. Loring judges both the Cape Cod Times Prime Time Magazine and the Veterans for Peace poetry contests. An award-winning screenwriter and playwright, Loring has received professional development grants from the Massachusetts Cultural Council, the Arts Foundation of Cape Cod, and artist residencies at the Ragdale Foundation and the Heinrich Boll cottage, County Mayo, Ireland. In 2011, she received a grand from the Arts Foundation for “Surviving Peace After War,” a project that will chronicle the lives of Vietnam veterans on the Cape and Islands. For more information, visit www.calliopepoetryseries.com, email calliopepoetryreadings@verizon.net, or call 508-566-1090.